Now is the time to make your dreams come true! Is it time to stop-smoking, lose weight, land your dream job, find your soul-mate, manifest abundance and supercharge your life? Hypnosis is a natural and powerful way to access your subconscious mind and easily create new pathways for positive change. Individual transformation sessions with Dr. David James have changed the lives of many and you can be next! My passion is to see you make amazing changes in your life. With a background in personal and organizational transformation, I will support you in your quest for achievement. I have a Ph.D in Clinical Psychology and graduate degrees in Theology and Spirituality. I am the author of three books on personal transformation and am fortunate to be an in-demand speaker and retreat leader. Having been a Professor of Psychology and Spirituality as well as an ordained minister, I can relate to your desires to make positive and powerful change. My background is not merely an academic one…I have real life expereience and understand your life’s challenges. I was a Deputy with the Los Angeles County Sheriff’s Department and retired from the Chino Police Department as a Sergeant; having worked in the patrol division, crime scene investigations, detectives and community relations. Located in the Greater Los Angeles Area, Dr. James offers hypnotherapeutic services that will help you live a fulfilled and happier life. 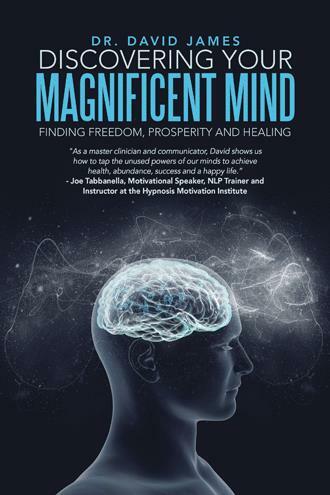 From releasing bad habits, creating a vibrant and healthy lifestyle, minimizing physical pain, increasing the joy in relationships or achieving professional success, Dr. David James can help you supercharge your life. Don’t wait…begin the adventure today! New Clients & Referrals Welcome!